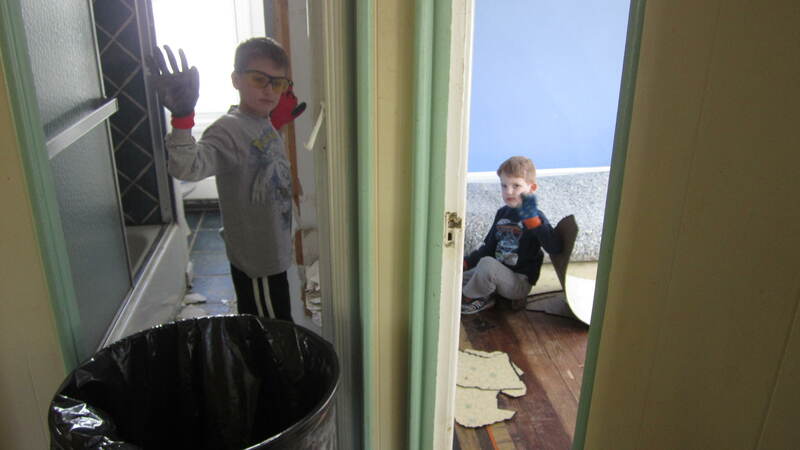 Just in case any of you were thinking we live a charmed life after I wrote about Renovating with Kids and how helpful they were, I thought it was only fair to share the flip side of that reality, too. I guess washing and sanding walls isn’t as much fun as knocking them down, so our helpers opted out of the work force after about ninety seconds of labor. While my husband and I work on the rooms upstairs, the kids play downstairs. We don’t have any cable or internet service hooked up yet, so they have to use their imaginations. They all have floor-sized activity books, crayons, pencils, art sets, a few board games and lots of books. And, since we’re not totally in the Dark Ages, they have DS or LeapSter handheld video games, too. To my surprise though, the video game freedom we give them while we’re working usually translates to about one hour or less. They prefer using their imaginations and playing with each other. They become made-up characters in made-up worlds and race around the house screaming and squealing with delight. That is, until they begin screaming and squealing in anger. I hear the telltale stomping up the steps that tells me I’m about to get at least two versions of the story. “Robbie hit…my back! !” sobs my three-year-old. “WHAT? !” I respond in surprise and frustration. “Why on earth would you HIT your little sister?! 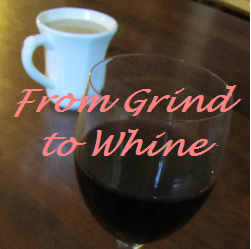 I’m surprised at you; you know better than that!” I scold my oldest son. “She KICKED and STOMPED on my neck!! !” he sputters out in defense. My shoulders slump as I let out a sigh, squeeze out my sponge and pull off my gloves. I’ve seen her use the kicking tactic before and it’s not pretty. “Everybody downstairs,” as I herd my turtles back to the scene of the crime. Our first born, our pleaser, our rule follower sits and takes his punishment. I don’t even get the first sentence out before she’s thrown herself on the floor, arching her back, hammering the floor with her little fists and screaming something unintelligible, but probably along the lines of how she didn’t do anything. Little liar. Sh*t. We’re not even home where I have an arsenal of things I could take away. We’re here, fixing up the shore house and I need them to have the few distractions they have so we can get some work done. Great, now what? She’s too smart for her own good. She heard my pause. She knows I’m scrambling. She suddenly wants to hear what she’s about to get away with. She quiets down a few decibels to hear me stumble and grasp at straws. “Or…Or…Or you’ll have to take a nap HERE,” is the best I can do. Judge me all you want about how I’m not supposed to use naps as punishment. She’ll just continue to fight me about taking them if I do. I had to use what I had and it wasn’t much. At least she heard me. She knows she has two more, so she continues beating her fists and kicking her feet. After timeouts are served, I set them up in separate spaces with a new activity and head back upstairs to start priming the walls. An hour or so later, we hear squealing and laughter floating upstairs. Actually, it’s more like shouting and squealing followed by a loud THUD and side-splitting laughter. Then it repeats. We start laughing at the sounds and taking our best guesses what they could be doing. Spinning till they fall off of one of the bar stools? Long jumping onto their sleeping bags? Whatever it is, all three of them are doing it together and having a ball. It’s great how kids don’t hold grudges, isn’t it? After the curiosity gets the better of us, we quietly head downstairs to find this. Yes, they were, quite literally, bouncing off the walls. Since we’re in the middle of renovating the upstairs bedrooms, we all sleep downstairs. My husband and I on a mattress on the floor, and the kids in their sleeping bags on foam pads on the floor. 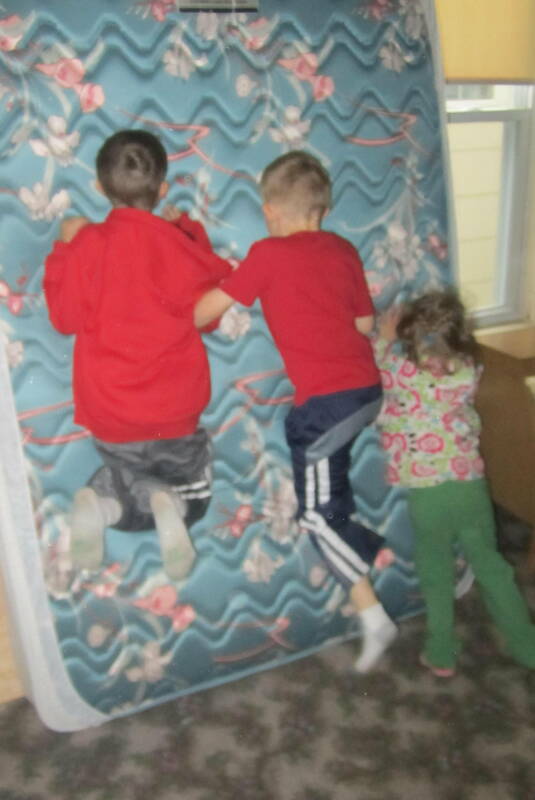 During the day, we lift the mattress up and out of the way, propping it up against the living room wall. It’s not pretty, but it works and allows us to get more work done while the kids sleep at night instead of being limited to daytime hours only. Somehow, even without TV and computers, the kids still manage to find ways to have fun. We have yet to use this house for its intended purpose (the kids may be in college by the time we’re finished with the renovations), but they’re already making memories here. Is it awful that now I want to put the mattress against the wall and throw myself against it? That looks like a lot of fun. Nope, not awful. The same thought went through my head, too! We honestly tried it, too. I’m thinking a padded cell for me and a separate one for my kids who will drive me to the asylum will work perfectly. I’ll reserve an adjoining room for you!